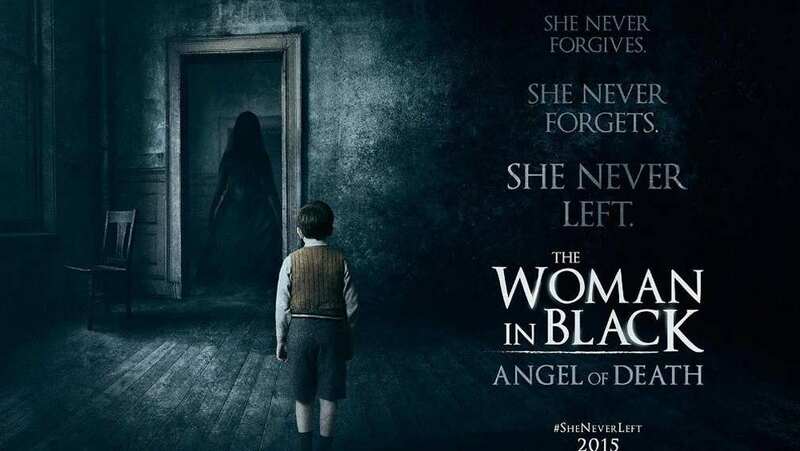 Theatrical Trailer for The Woman in Black: Angel of Death. During the London bombings of World War II, school teachers Eve Parkins (Phoebe Fox) and Jean Hogg (Helen McCrory) lead a group of children in evacuation to Crythin Gifford, a remote village outside of the city. When the group takes up residence at the Eel Marsh House, 40 years after Arthur Kipps (Daniel Radcliffe) investigated the first haunting, Eve soon realizes they are not alone. The longer they stay in the house, the more the awful past of the residence unravels itself and the evil spirit that lurks around them threatens the well-being of the children. With the help of a pilot (Jeremy Irvine), Eve does all that she can to protect the children and discover the truth behind the Woman in Black.